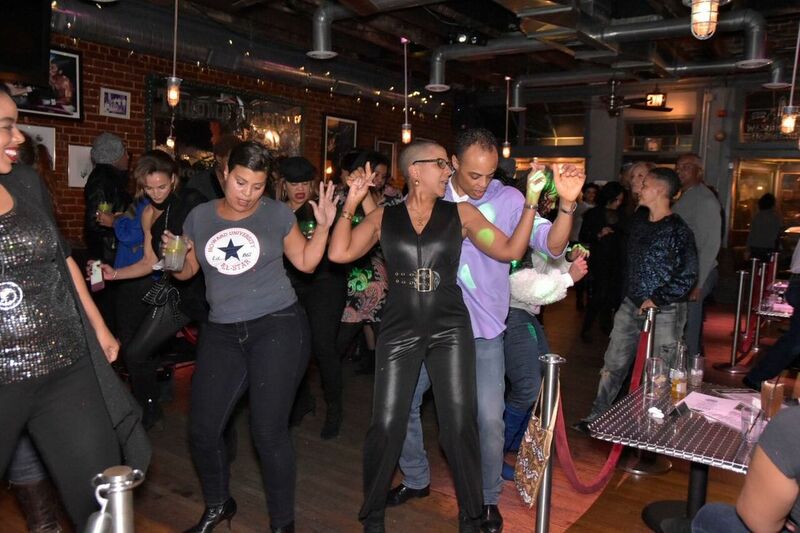 "Circle of Friends 10th Anniversary Event"
​This past weekend the Washington D.C. based philanthropic group, Circle of Friends celebrated its 10th Annual Anniversary with two festive evenings of entertainment to benefit local charities. The entire event, which spanned two evenings was by invitation only. The soiree on Friday, the first evening, saw upwards of 500 guests at La Vie, the upscale Mediterranean restaurant at the District Wharf, which has become a space where the city’s elite gather. A fashionable evening, guests dressed in formal and semi-formal attire, and upon entering the lobby,were offered a flute of champagne and red-carpet photo op before moving between three elegantly decorated rooms with velvet upholstered seats and various upscale lounge accouterments. Large floor-to-ceiling windows provided spectacular views of the wharf, docked with luxury yachts, and the D.C. cityscape creating a backdrop fit for any upscale affair. Guests were treated to a delicious buffet and as the evening progressed, imbibed from the open bar, while waiters were on hand throughout the night serving bruschetta, crab cakes, skewered beef and stuffed mushrooms. Founding member, Joigie Hayes-Tolson, a business advisor and consultant, moved about graciously greeting guests and managing the logistics of the evening. Circle of Friends is a group that has evolved over the years, having been founded by several friends, largely from the Shepherd Park section of D.C. The children of successful black families, many members are connected through selective social groups such as Jack and Jill and in their formative years attended schools such as Sidwell Friends, St John’s and Wilson. 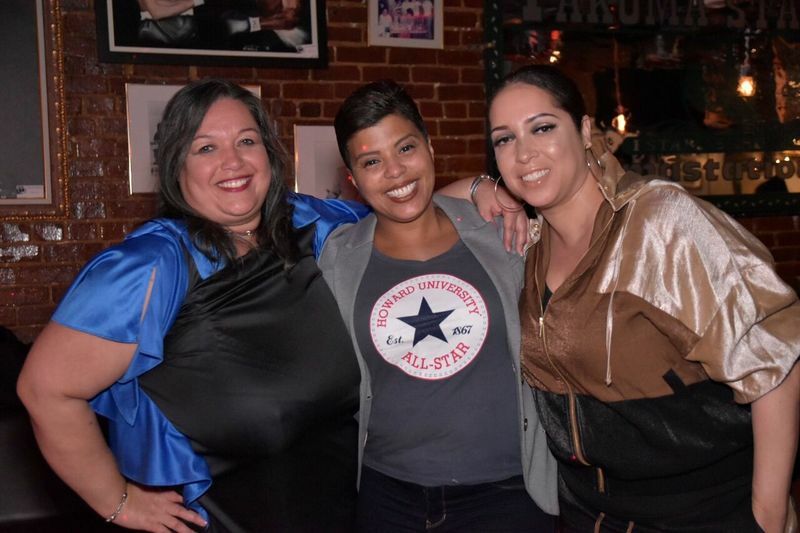 After going away to respective colleges and establishing careers, the Circle maintained close connections and ties to the D.C. area. As an outgrowth of the original friendships, the group organically increased in size over the years, adding members with whom professional, philanthropic and social interests align. ​An intriguing assembly, for decades, the Washington D.C. area has seen many groups of successful, African-American professionals come together to light up the city while using their power in numbers to do good. The idea itself is nothing new and is somewhat woven into the fabric of the area: A prime reason D.C. remains a top city for black professionals. Still, this group is special. As Georgetown Realtor, Leon Williams, stated “There are lots of opportunities for African- Americans in D.C., and many movers and shakers. I grew up here, and Circle of Friends is a Who’s Who of that demographic. ”A tall, charming man who has a command of the area’s real estate market, he was accompanied by his lady friend, Colleen Kruchem, who also noted “We’ve been invited guests for years. 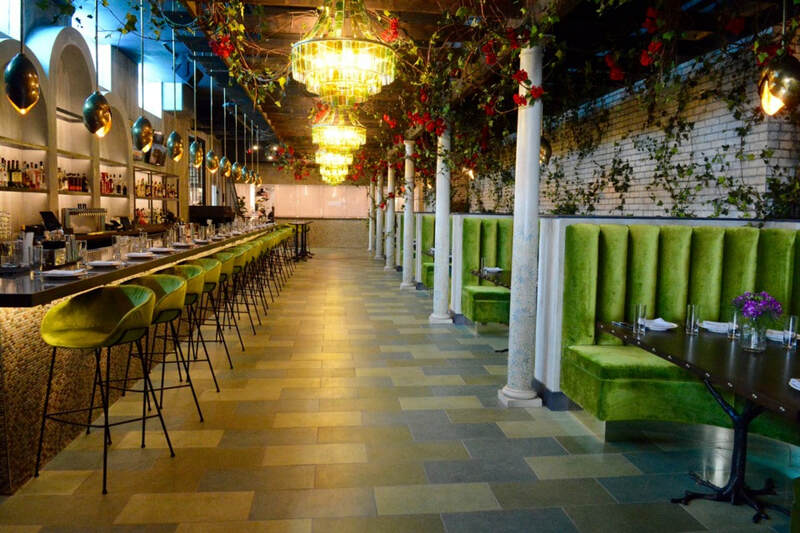 LaVie is the best venue that we have been to for this event, and there have been some really nice locations.” Others seemed to share the same sentiment. “This is a beautiful venue. My cousin Charles (Gaither) invites my husband and me every year. He is one of the committee members…most of them grew up together.”, added Vickie Braxton. That’s the prevailing theme of Circle of Friends: Enduring friendships. 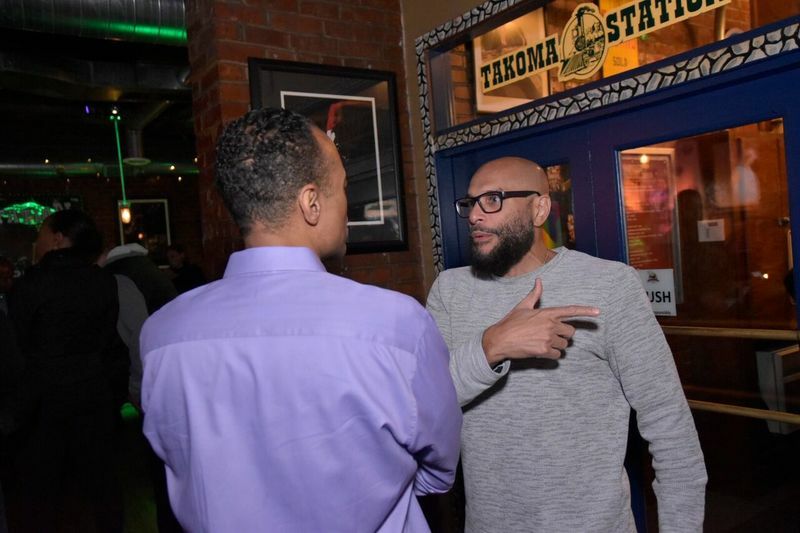 ​On Saturday, the event’s second evening, Merritt Johnson, a professional tennis coach who now resides in Seattle, was happy to be back in D.C. and specifically at Takoma Station Tavern, a long-time gathering spot of the members. He fondly recalled his days growing up in the area. “I went to Wilson High School with a lot of the people here. We still keep in touch.” Interrupting his thoughts, he was warmly greeted at the bar by Patricia Raspberry, PhD who is the daughter of the late, Pulitzer Prize winning writer and Washington Post columnist, William Raspberry. Accomplished in her own right, Patricia owns a consulting firm, Black Raspberry, and is one of the committee members of Circle of Friends. 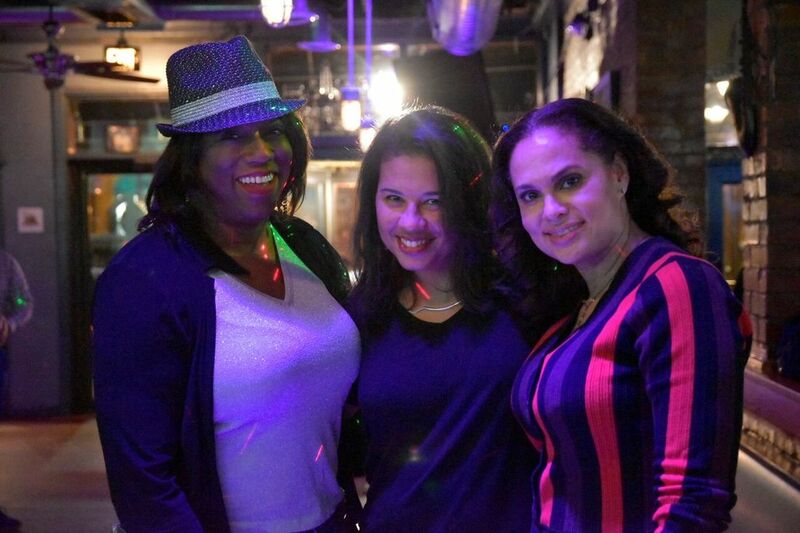 ​As members and invited guests mingled and danced the night away with sounds from a live band and later, DJ, it was evident that this is a group comprised of members who are very much aware of their influence in a city known for such attributes. One may marvel that during such a hectic time, with competing obligations and the holidays afoot,what a feat it must be to bring so many hard-charging, professionals together at the same time each year, but they make it look easy. A testament to enduring friendships and the city that brought them together. Circle of Friends is the brainchild of: Joigie Hayes-Tolson and co-founders Montina Anderson, Curtis Lewis, Brett Greene, Tony Powell and David Boyd, who had the vision to bring together an extended network of contemporaries for an annual celebration of fellowship. A host committee of more than a dozen individuals was hand-picked in 2008 during CoF’s inaugural event at the Mandarin Hotel. Copa: ​How did Circle of Friends get started and who are the founding members? Anderson, Curtis Lewis, Brett Greene, Tony Powell and David Boyd, who had the vision to bring together an extended network of contemporaries for an annual celebration of fellowship. A host committee of more than a dozen individuals were hand-picked to help realize this vision at its inaugural event at the Mandarin Oriental Hotel in 2008. Copa: Is this core group of friends closed, or is it inclusive and open to accepting newmembers? Also, how is the invitation process determined? ​COF: The COF Host Committee is comprised of hand-picked individuals based on their professional and social standing in the community. The committee leverages their resources and community network to elevate the mission of the organization. COF events are by invitation only by a COF Host Committee Member. ​Copa: How have you seen COF evolve over the years and what challenges has the organization faced? ​COF: COF hosts one of the most exclusive and sought after events of the year! The 2-part annual event takes place over the Thanksgiving holiday weekend and has been hosted by some of DC’s most glamorous and nostalgic DC venues. Over its 10-year history, COF has become the premier social gathering of African American professionals in the District of Columbia. COF represents one of the most exclusive groups of prominent and influential African American business leaders, politicos, business professionals and power brokers in the Nation’s Capital. The COF demographic represents 1,000+ attendees over the course of the weekend’s events. COF has delivered our core demographic consistently over the past 9 years and expects the 10 year Anniversary event to be an epic showcase of our esteemed group. One of our biggest challenges has been accommodating the demand for access to our events. Our guest list expands each year as more anticipate celebrating at one of DC’s most sought after events. Each year, COF host committee members, attendees, invited guests and sponsors donate monies to selected charitable organizations to help the youth in the Washington metropolitan area. Copa: What organization is the primary recipient of raised funds? COF: Circle of Friend’s philanthropic mission is to educate and empower under-served youth in the District of Columbia. As part of our mission, COF partners with businesses and organizations to help to realize our philanthropic mission of educating and empowering under served youth. Copa: ​In your assessment, what impact has the current political climate in D.C. had on how African American professionals galvanize around philanthropic endeavors in and around the city? ​COF: The essence of COF centers around building and nurturing relationships and lifting each other up. It is essential for organizations like COF to support and build partnerships to preserve our history, culture, and take on philanthropic efforts to give back to those who less fortunate. 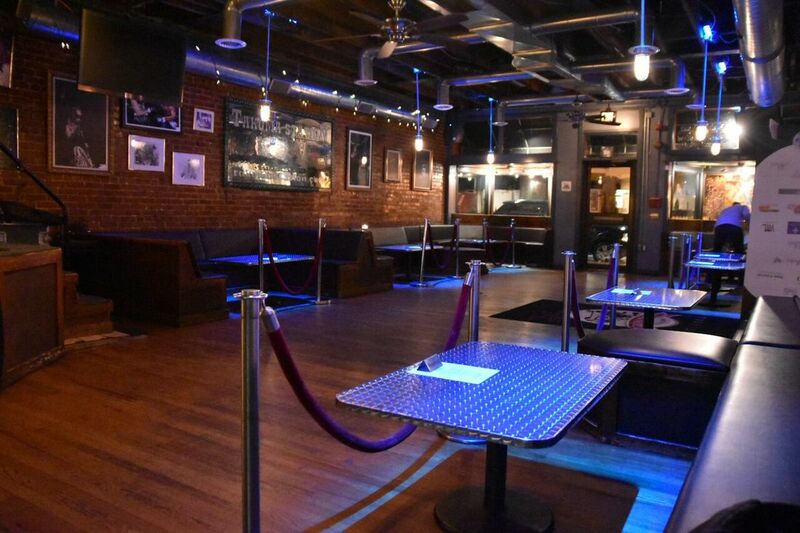 Copa: ​This year, the 10th anniversary events will be held at Takoma Station Tavern and the very posh, La Vie restaurant. Is there an interesting story about Takoma Station Tavern and how it became the venue of choice for CoF events each year? Also, will this year’s events be different from previous years? This year, we are getting a lots of interest from sponsors who are business owners who see COF as a way to market and increase their brand exposure. Building these type of mutually beneficial partnerships is area that we launched this year and will continue to grow. Copa: As COF reflects on 10 years of philanthropy and social influence, what are the group’s plans for the future and where does the organization see itself in the next ten years? ​COF: COF looks to expand its reach and impact by strengthening partners with local businesses and organizations to help to realize our philanthropic mission of educating and empowering under served youth. Our reach is expansive and will look for opportunities to build bridges and relationships in the name of friendship and service.